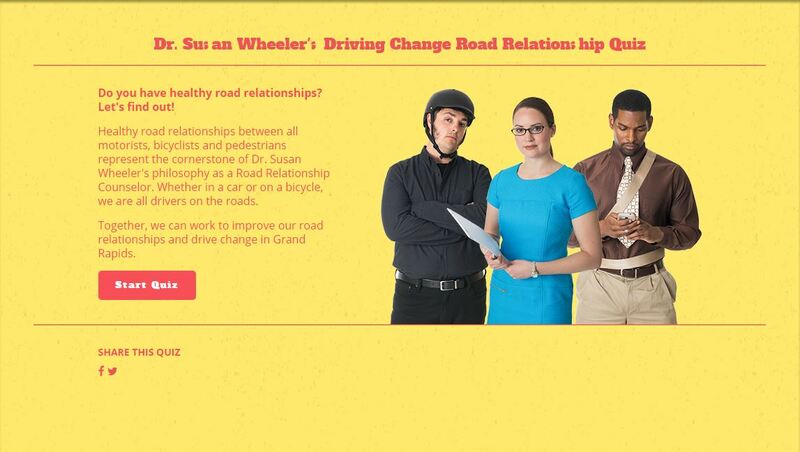 Driving Change and Bicycle Safety in Grand Rapids, Michigan. Buchanan & Buchanan. In recent years, bicycling has emerged as a growing trend – increasing as a popular form of urban transportation, exercise, and recreational sport. The number of individuals commuting to work in the United States has increased to approximately 800,000, up from 450,000 in 2000. With increased cyclists on our roadways, the number of bicycle related accidents has increased. The City of Grand Rapids has a fatal bike crash ratio that is almost three times higher than the state average. To address the issue, Grand Rapids and the Michigan Department of Transportation (MDOT) launched the “Driving Change” campaign to bring awareness to bicycle safety in Grand Rapids. 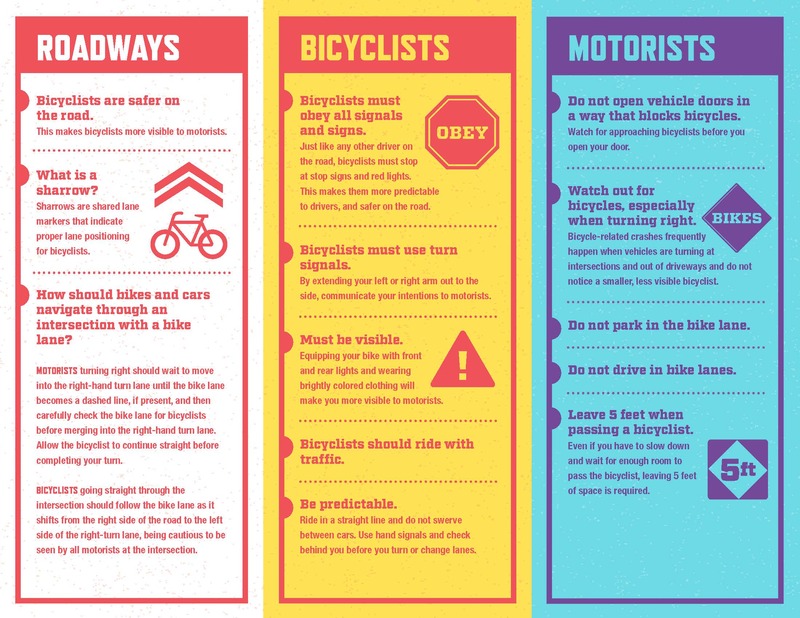 The campaign aim is to help the people of Grand Rapids understand new bicycle infrastructure (i.e., bicycle lanes) and educate all motorists and bicyclists on “rules of the road” in hope that the awareness of rules will foster respect between motorists and cyclists to ensure the safety of all. In addition to educating Grand Rapids on bicycle safety, it is also important for cyclists to understand their legal rights if involved in an accident. If you or someone you love is injured in a bicycle accident caused by a motor vehicle, seek legal help immediately. Whether and to what extent you recover reimbursement for your losses from a bicycle accident with a motor vehicle depends on correct application of Michigan’s No-Fault law. Often, the insurance companies-even your own-will do everything in their power to avoid paying you what they owe; they will delay and employ legal tactics to deprive you of reimbursements you deserve. Here is a brief overview of the application of Michigan No-Fault law to accidents involving a bicycle and motor vehicle. In Michigan, if you are a bicyclist and are involved in an accident involving a car or truck, you are eligible to receive Michigan No-Fault insurance benefits (a first party claim) and when the injuries are catastrophic or fatal, you can also sue for pain and suffering compensation (a third-party claim). If your bicycle accident does not involve a motor vehicle, usually you cannot collect Michigan No-Fault benefits. According to Michigan’s statute of limitations, you must file a third-party lawsuit within 3 years from the date of the accident. As you can see, whether and to what extent you recover reimbursement for your losses from a bicycle accident depends on correct application of Michigan’s No-Fault law. It is therefore important for anyone injured in a bicycle accident, and especially those who suffered serious injuries, to immediately seek help from an attorney experienced with Michigan’s No-Fault Law. Even a relatively minor delay can cause you to lose the right to reimbursements. We will review your claim and guide you in obtaining fair reimbursement for the harms and losses. At Buchanan and Buchanan, we are skilled at investigating bicycle accidents with motor vehicles and successfully negotiating fair settlements with insurance companies, and persuasively presenting cases at trial when insurers refuse to do what is right.